This summer, we're thrilled to have SEVEN interns on the Baykeeper Team. Two of them serve as Development Interns, assisting the Development Director with the execution of our fundraising events, membership recruitment, and much more. They are both huge assets to the team and we're lucky to have them on board. Meet Allie and Taylor! Education: A sophomore at LSU majoring in Political Communication and minoring in Business Administration. Hobbies: I enjoy playing sports, running, spending time on the water, traveling, and hanging out with family and friends. Why you wanted to work at Mobile Baykeeper: I wanted to be a part of Mobile Baykeeper’s mission in protecting Mobile Bay and Coastal Alabama. I also wanted to gain work experience and learn more about the importance of non-profit work. Education: A junior at Spring Hill College majoring in Marine Biology and minoring in Psychology. Hobbies: I love being outside and watching the sun set or rise, being by the water or at the beach, kayaking and paddle boarding, playing guitar and singing, traveling, and just being with my friends and family. Nicknames: Tay, T, and Lewis are what I usually get. Guilty pleasure: Ice cream in any way, shape, or form. Why you wanted to work at Mobile Baykeeper: I wanted to intern at Mobile Baykeeper because I was just ready to start something that would help me achieve my goals. I love Baykeeper's mission because it’s a mission I try to conquer every day. 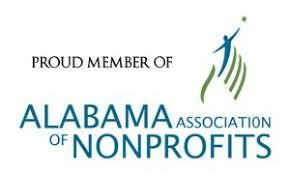 The entire staff works together to make Coastal Alabama a better place to live, and I think that’s pretty awesome. I wanted to be a part of a team that works together like this the Baykeeper team. I knew as soon as I met the staff and other interns I made the right choice to work here. It’s like a home away from home.